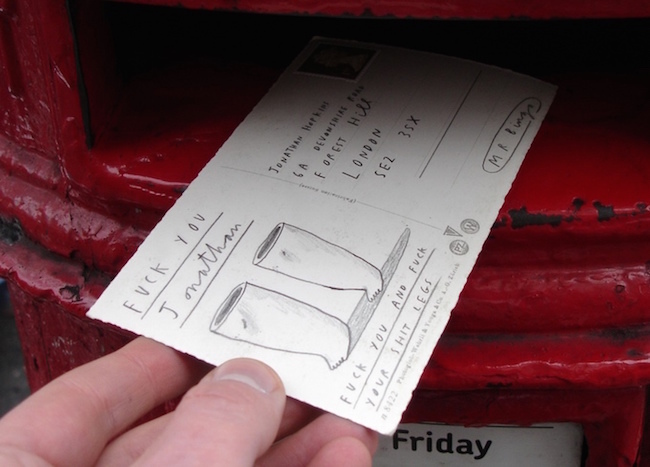 So, above is what Mr Bingo does… He’s an illustrator who, amongst other things, sends you hate mail in the post! He’s doing a Kickstarter for his book; Hate Mail: The Definitive Collection. I don’t have a huge amount to say about this project except WATCH THE VIDEO. It is without a doubt the most genius Kickstarter video I’ve ever seen. Go read all about it, watch the video, and maybe buy the book.